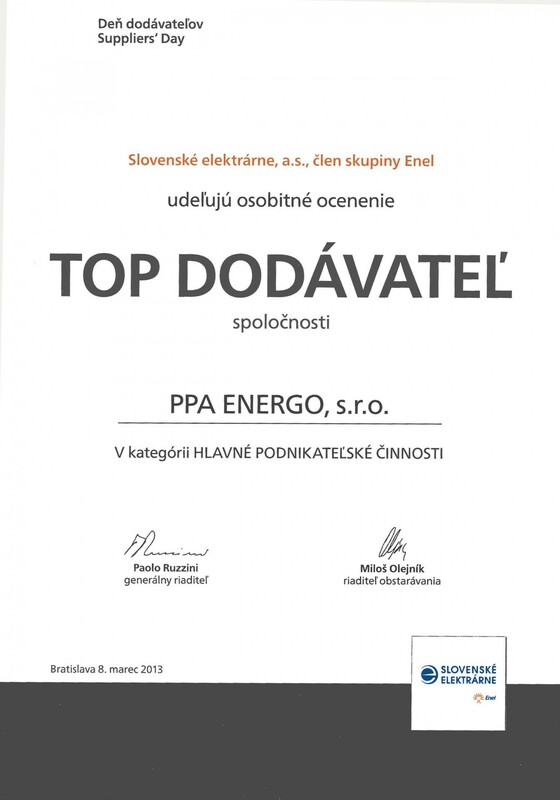 On the 8th of March 2013 Slovenské elektrárne invited the leading suppliers to the formal meeting for the second time, in order to introduce the needs, goals and vision of the company. 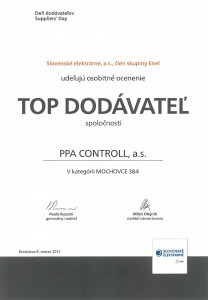 It included the statement and the best suppliers for Slovenské elektrárne in 2012. 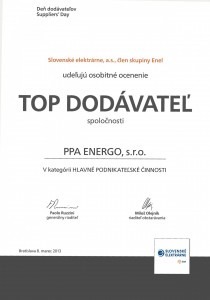 More than ten nominated companies applied for this award in the categories of the core business, promotional activities, goods, construction project of the 3rd and the 4th blocks at Mochovce NPP, but also in the special category “New comer of the year “. We have been awarded two out of these five awards. Subsidiary company PPA ENERGO, s.r.o. 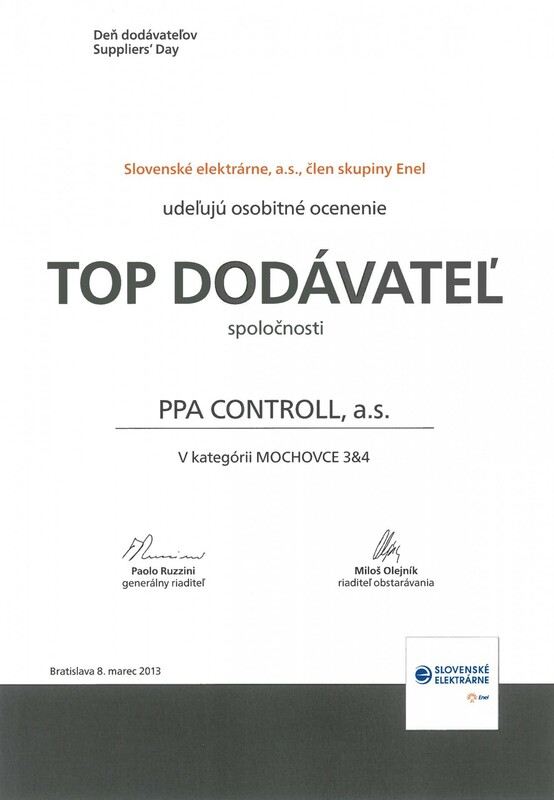 achieved the award of TOP supplier in the category of the core business and PPA CONTROL, a.s. was awarded for constructing the new blocks – No. 3 and 4 at NPP Mochovce.